It’s now time to connect the new sewerage system! Due to upgrades to an outdated sewerage system, around 1000 properties in North Warrandyte are now ready to connect to the new and improved sewerage system. If your property has been affected, you will have received a letter from Yarra Valley Water advising you that your home can now be connected to the new system. You will need to team up with a local plumber who will safety and correctly connect your property to the new sewerage system. Read more about the project on Yarra Valley Water’s website. These systems collect and dispose of sewerage where the landscape has a gradual slope, allowing the sewerage to flow naturally downhill, away from your property and into the collection network. See more here about how to connect. These systems are used in both very hilly and very flat areas that regularly flood or have high water tables. Pumping units located at each individual property transfer the wastewater via a small pipeline within the property to the pressure sewer located in the street. It is then transferred to the nearest sewerage treatment facility. Regardless of which system you have (or if you’re unsure which system you have), you will need to engage a licensed plumber to connect your property to the sewer. Call H2-Pro today. 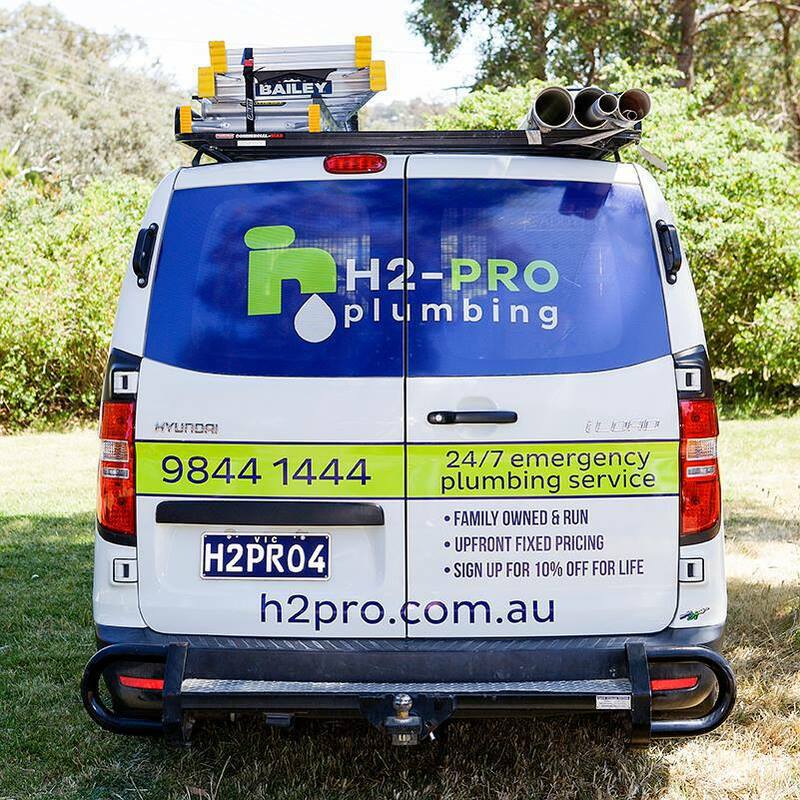 H2-Pro already has a growing list of clients who need to be connected to the new Warrandyte sewer line, so don’t delay: call now and let’s set up a time where we can connect you to this new sewer system. You can also fill in this form if you have any other questions or need further guidance. Your local water company is responsible for the effective distribution of potable water and for the safe collection of wastewater. Many houses in the north and eastern suburbs were built before more modern sewerage solutions were available, and as a result, these homes are connected to outdated septic tanks. Recently, the Nillumbik Shire Council identified homes in the local area that could not effectively manage their wastewater due to these hazardous septic systems. This was resulting in harmful contamination of our local waterways! After these findings, Yarra Valley Water created the North Warrandyte Community Sewerage Project. Agree on what condition will your plumber will leave your property in eg. Will topsiol and grass seed be spread on lawn that has to be dug up? Will pavers, concrete or retaining walls be reintated? Will rubbish be removed from site ie broken pipes, off cuts, broken concrete etc. When decommissioning treatment plants, a licensed electrician needs to be engaged to disconnect the power supply and a Certificate of Electrical Safety needs to be supplied.